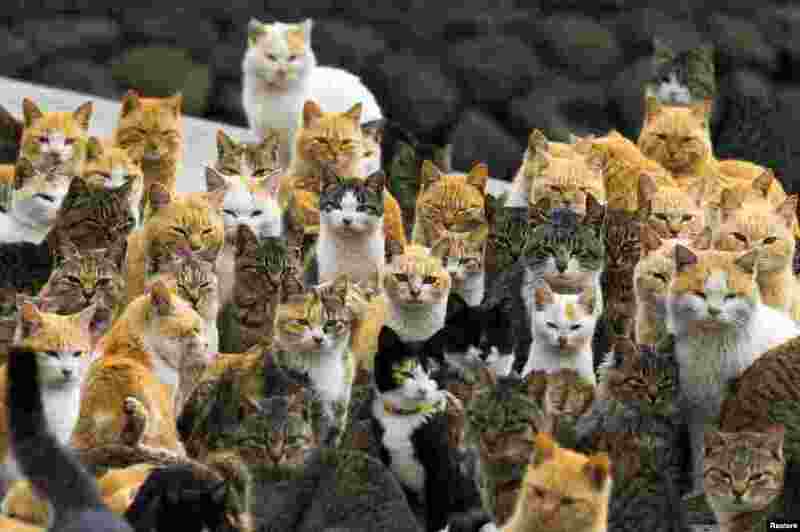 ۱ Cats crowd the harbor on Aoshima Island in the Ehime prefecture in southern Japan. An army of cats rules the remote island, curling up in abandoned houses or strutting about in a fishing village that is overrun with felines outnumbering humans six to one. 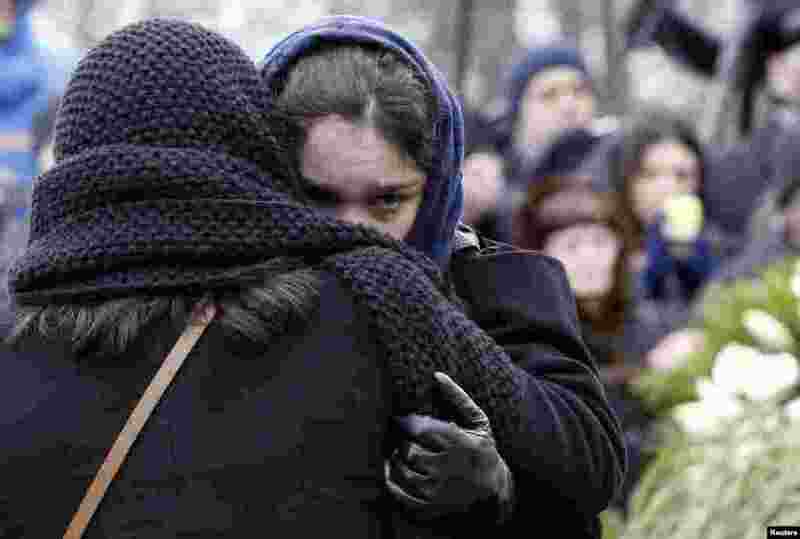 ۲ Zhanna, daughter of Russian leading opposition figure Boris Nemtsov, cries during his funeral in Moscow. Thousands of Russians, many carrying red carnations, queued to pay their respects to the Kremlin critic who was gunned down last week. 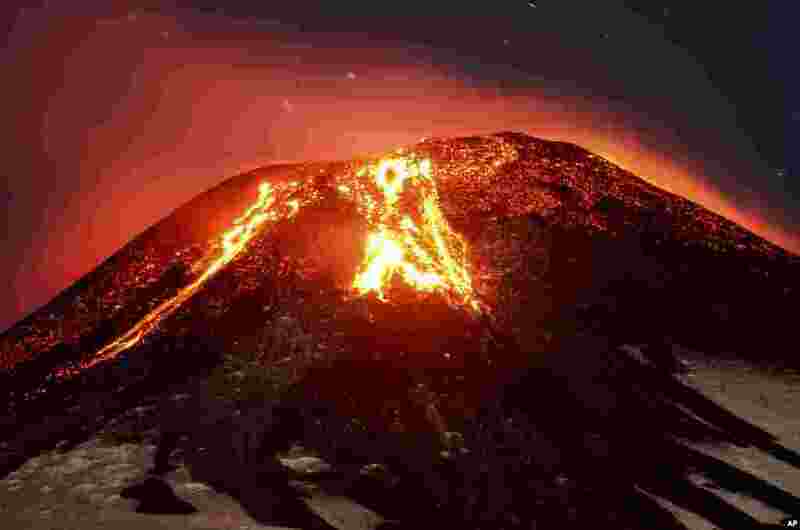 ۳ The Villarica volcano erupts near Pucon, Chile. 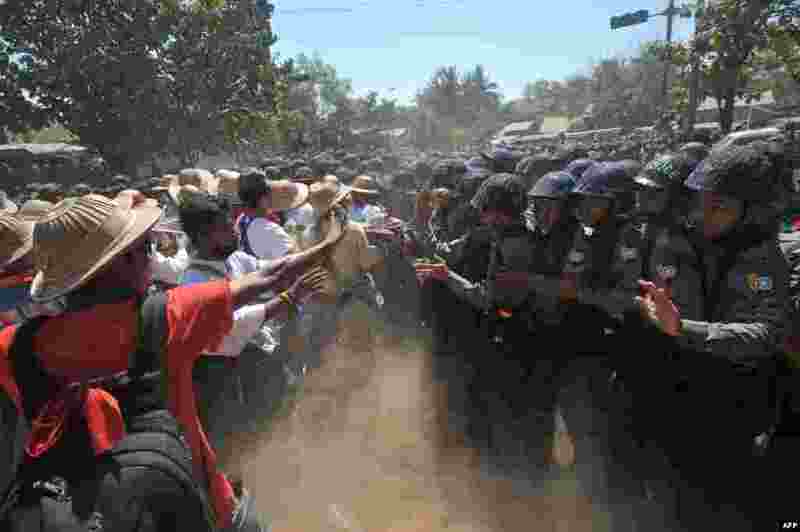 ۴ Myanmar riot police confront students during a protest march against an education bill in Letpadan town, some 130 kilometers (80 miles) north of Yangon.